I had some leftover roast lamb from Sunday and fancied something a bit more exotic than the usual shepherd’s pie. I wanted something hot and spicy with a distinct Moorish, Spanish flavour. What I’m getting at by Moorish, is Spanish food influenced by the Moors who occupied Spain for 700 years, from 711 to 1492. 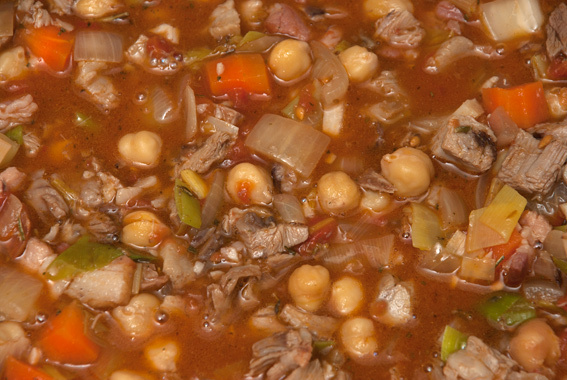 They brought with them; broad beans, chickpeas, coriander, cumin, lentils and saffron – a culinary contribution that stayed with the Iberian Peninsular after the Christian reconquest. You’ll find some very good examples of this type of cuisine if you visit the restaurant Moro in London. 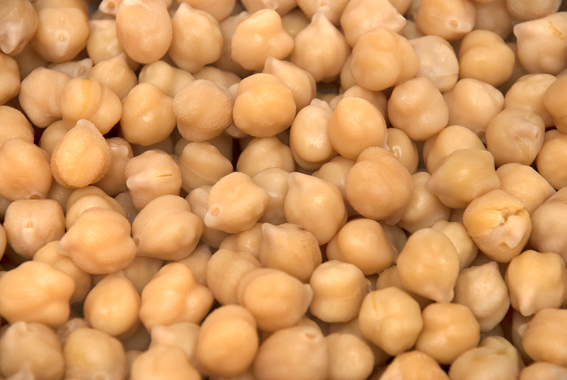 I soaked half a pound of chickpeas for an hour in boiling water and then cooked them in a pressure cooker for 35 minutes. 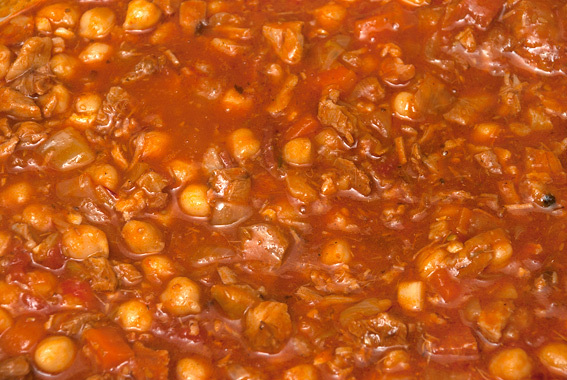 When cooked the chickpeas weighed about a pound. 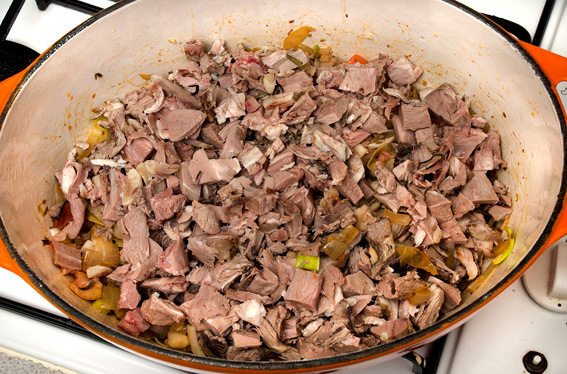 If you want to make your own stock, add the bones from a leg or shoulder of lamb to my stock recipe – it can be done quite quickly in a pressure cooker. I suggest adding any chewy bits of skin and gristle too. At a pinch, stock cubes would do. 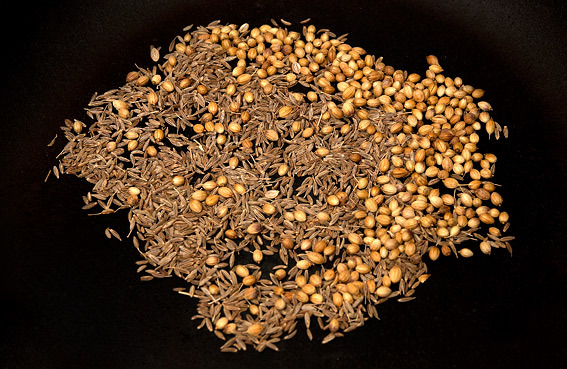 I warmed up the coriander and cumin seeds gently in a frying pan until I could smell them. Be careful not to burn them and as soon as they become fragrant, remove them from the pan. This reactivates the seeds and brings out all of their flavours. 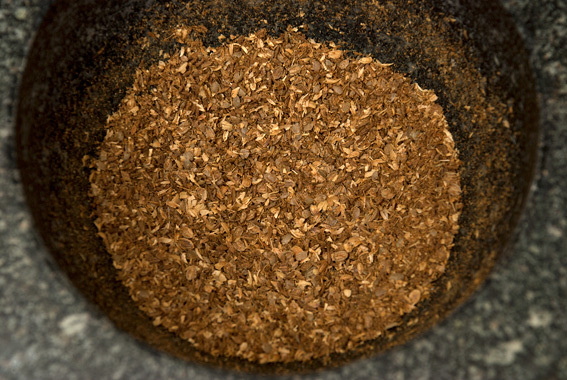 After warming, grind the seeds with a mortar and pestle. 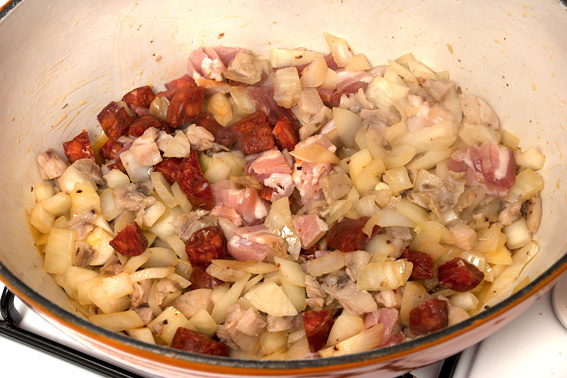 Heat some olive oil in a large cast iron casserole and start frying the onion with a large pinch of crushed chilli. When the onions have gone translucent stir in the bacon and chorizo. I included the soft white fat that came from the lamb too – it melted in the hot olive oil and imparted a lot of lamb flavour. followed by the carrots, celery, garlic and leek. 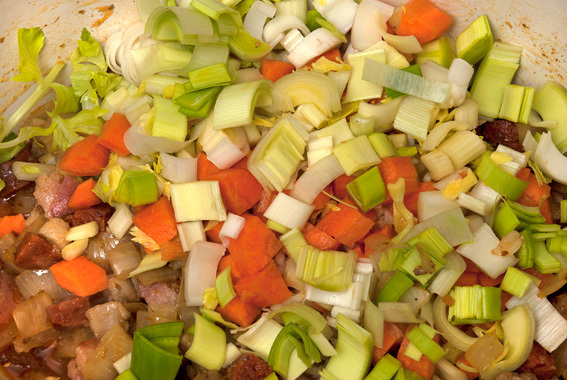 Stir in the vegetables and give them a minute or two before adding the chopped lamb. 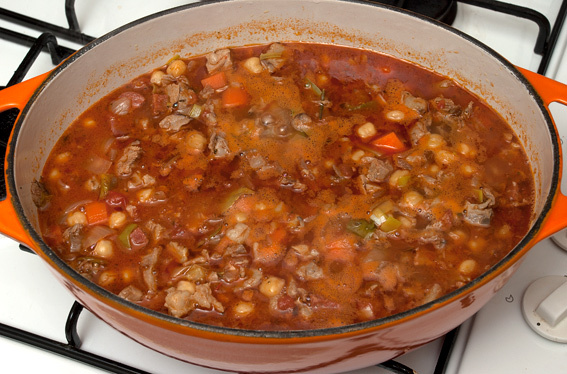 Since the lamb is cooked it can be followed quite quickly by the tomatoes and the chickpeas. Pour in the stock, red wine and a little sherry vinegar. Stir in the tomato purée and anchovy paste too. 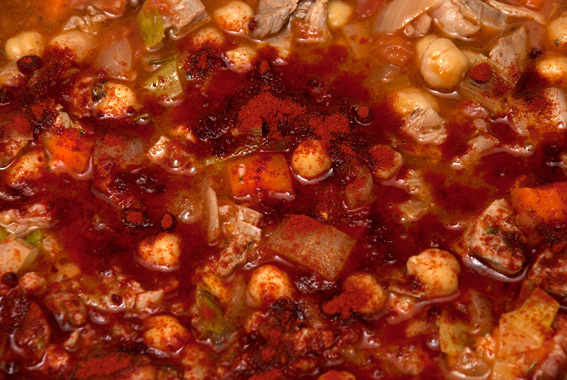 When the liquid bubbles a little, sprinkle on the Pimentón de la Vera – it will turn the dish quite red as well as making it a hot and smokey. 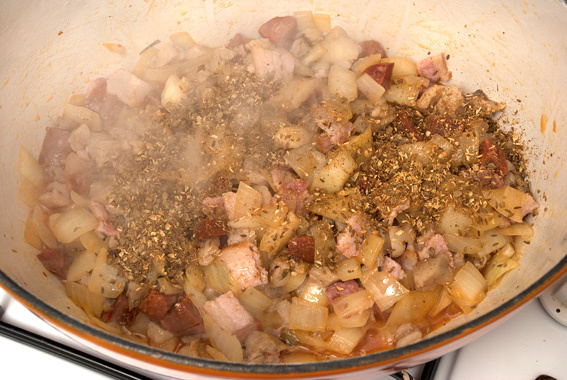 Now is a good time to taste the casserole – I use anchovy paste instead of salt, but I did add some cracked black pepper. More chilli, tomato paste, vinegar and wine could be added if needed, at this stage. If the dish tastes good, stir in the flour, push the bouquet garni deep into the liquid, put the lid on and place it into a preheated oven at 100º C for 2 hours or so. 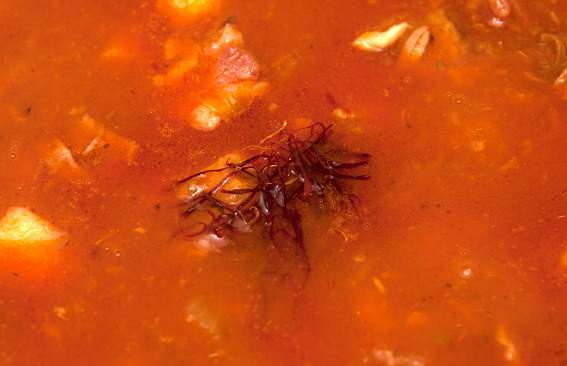 Taste the lamb halfway through and stir in the saffron strands – soak them for a few minutes in hot water first, it brings out their essence. Saffron is the stamen of the crocus flower and it’s the most expensive spice in the world, so use it sparingly – Spanish saffron is known to be of very high quality. After 2 hours taste again before serving – mine needed a little more sherry vinegar. I ate it with some sourdough bread drizzled with olive oil and pinch of salt (pa amb oli) – as the casserole contained all those chickpeas, I didn’t feel like having rice or potatoes. Red wine from Rioja goes well with this kind of dish. This entry was posted in Drink, Fish, Food, Meat, Recipes, Restaurants, Spanish and tagged bacon, chickpeas, chorizo, coriander, cumin, lamb, mirepoix, Moorish, Pimentón de la Vera, sherry vinegar. Bookmark the permalink. How intricate and delicious looking. I bet you could smell this recipe down the block! We love those Moors and what they did for us! A stunning dish, tipo plato de cuchara, love it and all those fantastic flavours. Have never been to Moro but I hear the cookbook is good. Will have to check it out. What a flavorful dish! Besides using the lamb in just about every way possible, other meats have been thrown into the mix as well as a good assortment of spices. I can only imagine how wonderful the aromas were, wafting up, out of your kitchen! Thanks John – it was a good one! Great recipe. I’ve just received Casa Moro as a present and last night’s supper saw the first of many Moorish dishes to come. What an incredible sounding dish. 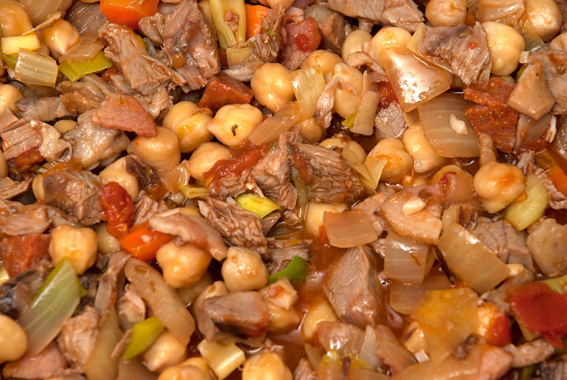 The Moors contributed so much to the flavor of Spanish foods. Thanks Karen and yes there’s a huge Moorish contribution to Spanish culture as well as food. Oh, this looks just my kind of food! Delicious! The Moors got as far north as here, leaving some of their influences which have been added to by more recent arrivals from north Africa. Moro is a memorable restaurant and their books are wonderful too – I use them a lot. Thanks – they seem to have enriched the Mediterranean culture considerably. Wow! There are so many flavours in that dish. What a great way to use up a leftover lamb roast. 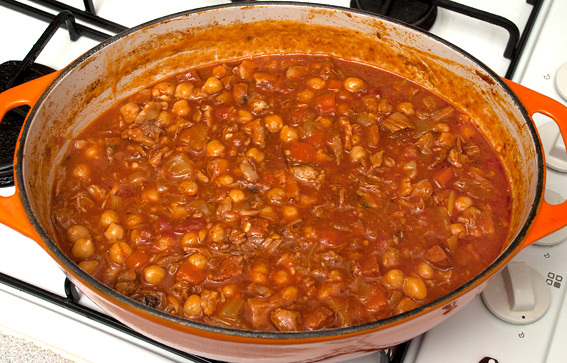 I agree – if you have chickpeas in a dish you don’t need pasta or potatoes – the dish should be enough on its own. Thanks – I probably didn’t need the bread either, but it was a little Spanish touch as an accompaniment. Ah, to have leftover lamb. Ah, to have first-night lamb. In any case, this looks amazing.